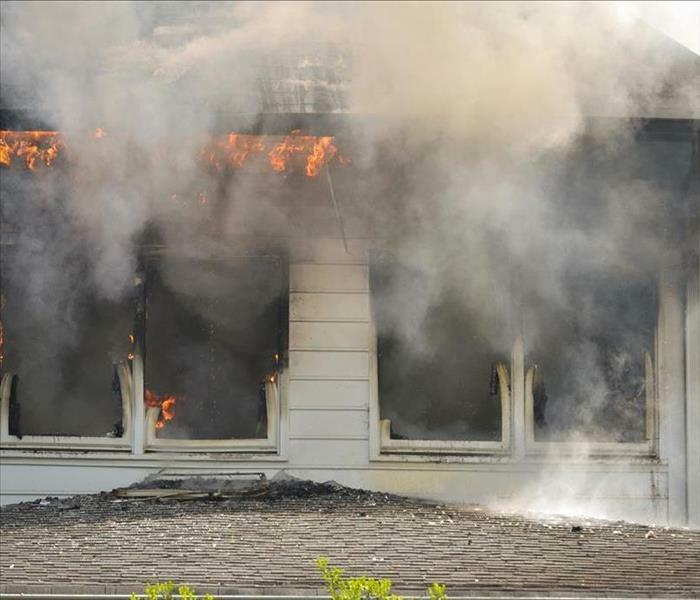 We are available 24/7 to restore your smoke damaged home. Our certified professionals have the necessary equipment, expertise and experience. 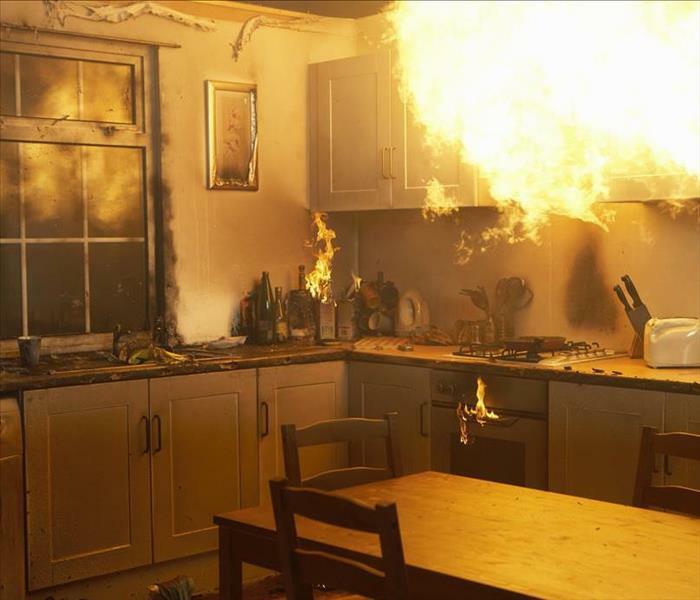 A fire can start in your house at any time if the conditions are right. Extinguishing the flames of a small fire is easy if you have fire emergency equipment. However, after extinguishing the fire, you must deal with the fire damage. Some of the problems that occur after fire-related scenarios include blackened surfaces, smoke odors, and soot-covered items. Taking steps to fix fire damage in your Tucson home quickly is essential. This can prevent respiratory ailments that smoke and soot may cause. Appliances may malfunction if soot damages their internal systems. Antiques can become dirty or permanently damaged. It is therefore critical to remove smoke and soot from your home promptly. However, without the right restoration techniques, it is almost impossible to eliminate the particles, and foul odor left behind. It is therefore advisable to hire a company that offers fire damage restoration services like SERVPRO. Here at SERVPRO, we restore smoke-damaged materials to bring them back to the preloss condition. We carefully inspect the infected areas to locate smoke residues. Various types of smoke residues may exist in the same loss environment. Our technicians determine the kind of smoke residues present and choose the appropriate cleaning method. We also consider the type of surface to select the proper cleaning products and techniques. Since smoke residues usually bond with the surfaces they contact, our technicians use wet and dry cleaning procedures to release and carry way the residue particles from the affected areas. We then dispose of the cleaning waste and debris appropriately. We have sophisticated fire damage restoration equipment that cleans and eliminates smoke, soot and prevents other fire-related damages from occurring. We can use hydroxyl generators to neutralize airborne particulates. Hydroxyl machines are effective at removing different kinds of odors. The overall simplicity of hydroxyl technology creates flexibility for our restorers. We also use ULV Foggers to tackle smoke odors. These machines atomize liquid deodorizing agents, producing a fine mist that penetrates areas where odor-causing residues build up. If you have experienced a fire in your home, contacting SERVPRO of Southeast Tucson / Sahuarita / Green Valley is the best course of action. We can clean up your property and remove the smoke odors or soot quickly. Call us 24/7 at (520) 648-7360 for fire restoration services. We’re Faster to Any Size Disaster. If you are wanting to start your own business click here. 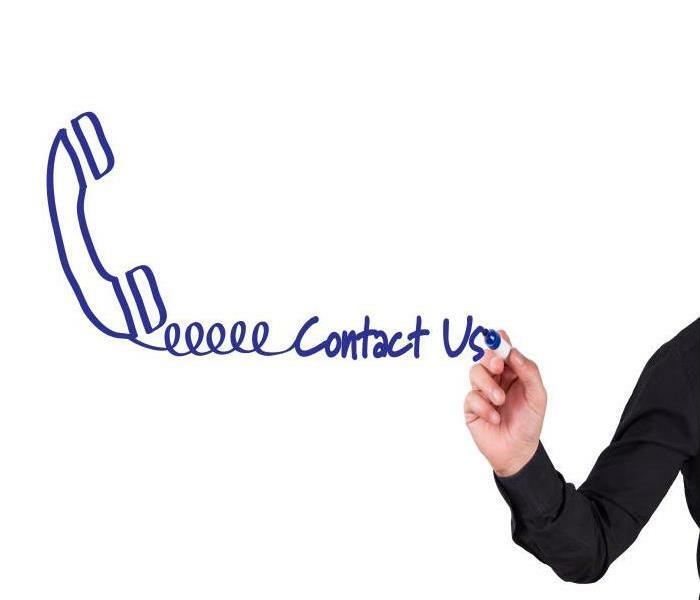 You can reach us at (520) 648-7360 any time. Although water is the primary agent used in almost every cleanup activity, an unwanted spill can cause a myriad of problems. In many cases, it pools around the property, so fast extraction solves the problem. However, if it leaves wet contents or building materials, other problems like staining and even mold development can occur. Mold starts growing within 24-48 hours after the spill. We offer professional restoration services that ensure you take the right restoration steps. Fast response is one of the crucial steps during water cleanup in Tucson. Although the spill happens fast, it takes some time for the water to seep through slightly porous materials such as wood. Similarly, it takes time for the water to dissolves dyes in porous materials, so responding fast can help forestall problems such as staining, warping, and rot. 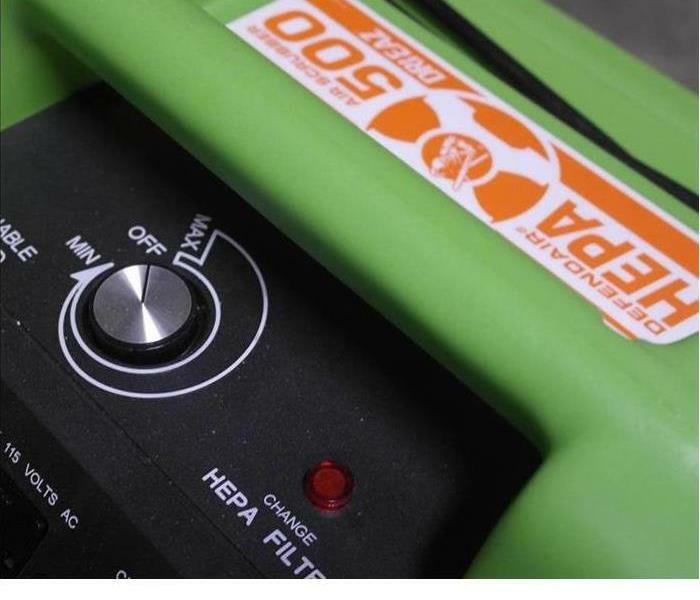 Our SERVPRO technicians use fast extraction equipment such as truck-mounted water extractors. We also have portable water extractors, which increase the convenience of reaching different areas within the property. Proper water cleanup also involves drying any unnecessary moisture from the property. After extracting water from the spill and the cleaning efforts, our SERVPRO technicians take steps to dry the property. We use different equipment to monitor moisture levels. Thermal cameras help us establish whether there is wetness in concealed areas. We also have moisture meters, which help us establish the actual moisture levels present in different materials. Our specialists then use dehumidifiers and air movers to dry the property to normal levels. 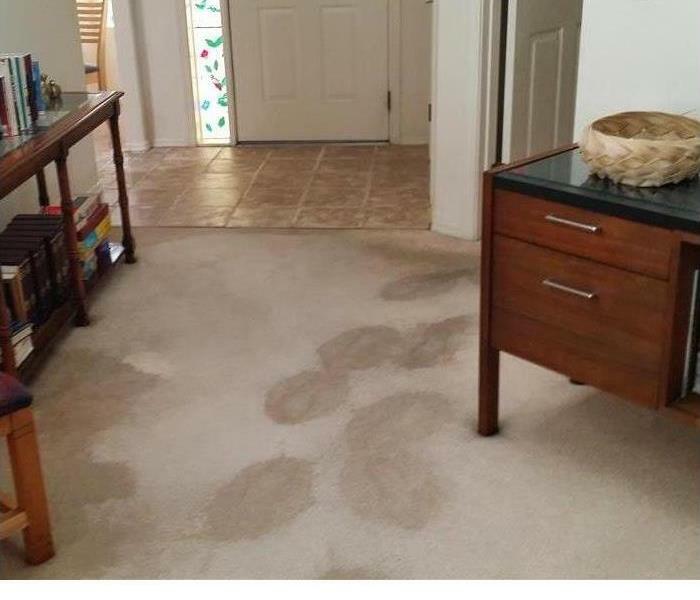 For an adequately executed cleanup exercise after water damage, call SERVPRO of Southeast Tucson / Sahuarita / Green Valley to assist. You can reach us at (520) 648-7360 any time. We’re Faster to Any Size Disaster. Fire suppression systems can save your business from a fire, but they also leave a lot of water which needs professional removal. Among the many problems that can take place inside your Sahuarita taco shop include issues with excessive moisture. There are many ways that water can leak inside your restaurant and force you to conduct extensive commercial water removal. For one, all restaurants have several water sources which mean there are plenty of pipes that have the potential of bursting. Severe weather can also break structural components and cause moisture to enter your dining room. Other situations that can cause you to have to call in a professional commercial water removal company such as SERVPRO include problems associated with workplace accidents. Anyone who owns a restaurant knows that mistakes do happen and at times they can become costly to your company. For example, if one of your large prep sinks inside your kitchen overflows due to it being unattended your manager could find themselves in a situation where they have to call in a professional commercial water removal team in Sahuarita like SERVPRO. Employee-related issues are quite common in the workplace and account for several insurance claims every year. Most businesses try to focus on proper employee training to help prevent problems that cost the company and insurance carriers much money. However, accidents happen and sometimes your taco shop is the victim, and all you can do is reach out for help from the professionals. 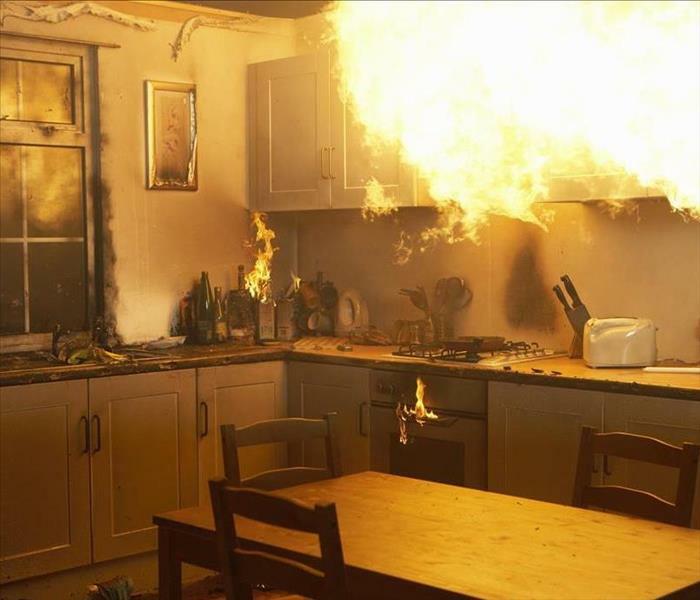 One rather common mistake is accidentally starting a grease fire inside your kitchen. Most industrial kitchens come equipped with advanced sprinkler fire suppression systems that are designed to spray several gallons of water onto a fire in a short period. Most of the sensors on the systems take excessive heat to activate, but once they go off, they can fill up your entire kitchen with standing water. Any cause of excessive moisture that enters a structure can potentially get many objects inside your place of business wet. Wet furniture and mildew-like odors can put a damper on business and therefore needs remediating right away. If you ever have an accident inside your taco shop, call SERVPRO of Southeast Tucson / Sahuarita / Green Valley at (520) 648-7360 24 hours a day. Green Valley, Flash Flooding, and Yeah for SERVPRO! Natural disasters can strike with little warning to Green Valley homes and can be especially problematic to those in the lowest lying areas throughout this region. 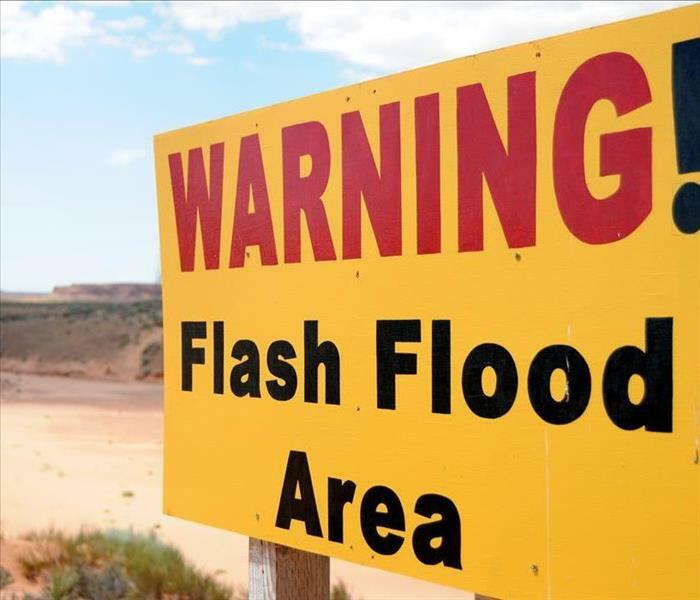 Flooding can occur from many sources from torrential rainfall causing flash flooding through prolonged weather events that cause creeks and streams to rise and pour into neighboring properties. Our team has a fast response to these situations to help mitigate your loss and work to offer a quick turnaround on restoration to get you back in your home. One of the ways that our team can assure efficiency and effectiveness when restoring flood damage to Green Valley homes is through the use of industry-leading equipment. It has always been the policy of our SERVPRO team to provide the best tools for production to ensure that our customers have a minimal interruption to their lives as we work to restore damage to their properties. With floods, many areas of your home can become affected simultaneously, so having advanced tools and equipment can be critical to preventing further damage. We even help you with your flood insurance claim, if you have one. When our team first arrives at your home, we set up our equipment to immediately begin extracting pooling water throughout exposed regions of your property. We have many levels of extraction equipment from our extractor trucks that can arrive with our Green Fleet of service vehicles to portable sump pumps and wet-vacs with extraction wands for smaller and less accessible areas of your damaged home. The choice for what your home needs depends on the severity of the water damage and what can clear the area most efficiently to allow for the debris removal and drying efforts that have to follow. In many cases with heavier damages, our truck-mounted and gas-powered extraction machines can offer fast removal at a rate of up to 300 psi. Special consideration is given to Black Water circumstances to ensure that professional grade disinfecting is carried out during the water removal and as an end step once the structure is dried. Customer safety is our number one concern and goal. Effective cleaning and restoration of flood damages to your home begin with fast and efficient extraction tools. Our SERVPRO of Southeast Tucson / Sahuarita / Green Valley rapid response team can showcase the full measure of our industry-leading equipment by calling (520) 648-7360. We're Faster To Any Size Disaster. Click here for a visit you won't forget. Our team of certified technicians are available 24/7 to handle smoke damage in your home. Give us a call so we can help you restore your home. Smoke odors can persist for years after other signs of fire damage in a Vail home have disappeared, serving as a constant reminder of what happened in the past. Sometimes, long-term residents with smoking habits can create even more pungent and permanent smoke odors in the house. Whatever the source of the problem, you probably need some help handling these smells in your home, unless you have access to and training with heavy odor-neutralizing equipment such as thermal fogging machines. SERVPRO technicians use these machines and much more to bring inexpensive and well-rounded smoke odor removal services to your home. One of the most significant reasons that removal of smoke odors can be the most challenging aspect of fire damage restoration in Vail is that different types of smoke require different treatments to remove from a home. As the smoke residues change in chemical composition, burn temperature, moisture content, and any of several other factors, the steps we must take to neutralize them change dramatically, sometimes requiring a complete changing of our routine odor neutralizing chemicals. We keep an extensive inventory of smoke treatment solutions and machines on hand so that we can bring the exact type of treatment necessary for your home. While some commercial cleaning and air freshening products claim to be able to mask smoke odors easily, these products often fail to address the underlying issue and require regular re-application permanently. The chemicals used by SERVPRO contain industrial neutralizing and masking agents that work in tandem to permanently eliminate odors in your home without any return visits or additional maintenance. Some smoke neutralizing regimens leave other smells in the home, such as bitter or unnatural chemical smells or cheap floral scents. Our odor eliminating solutions are carefully selected for their completely neutral smells that can both remove any signs of smoke in the building and leave the home open to whatever scents you want to put in it. SERVPRO of Southeast Tucson / Sahuarita / Green Valley brings industrial-quality smoke and fire damage treatments to local homes at affordable prices. Call us at (520) 648-7360 for our 24/7 services. If you are planning a visit to Vail click here to find out what others have come to realize. Toilets are a necessity in a home. Unfortunately, they can also be the cause of water damage. Call SERVPRO immediately for water removal services. 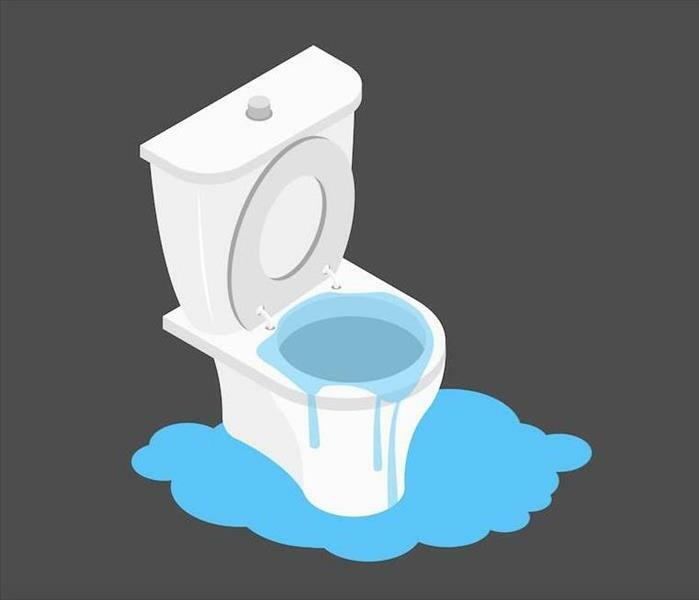 For all of the convenience that toilets provide your Vail residence, they are not without their likelihood of degradation and failure under the right conditions. 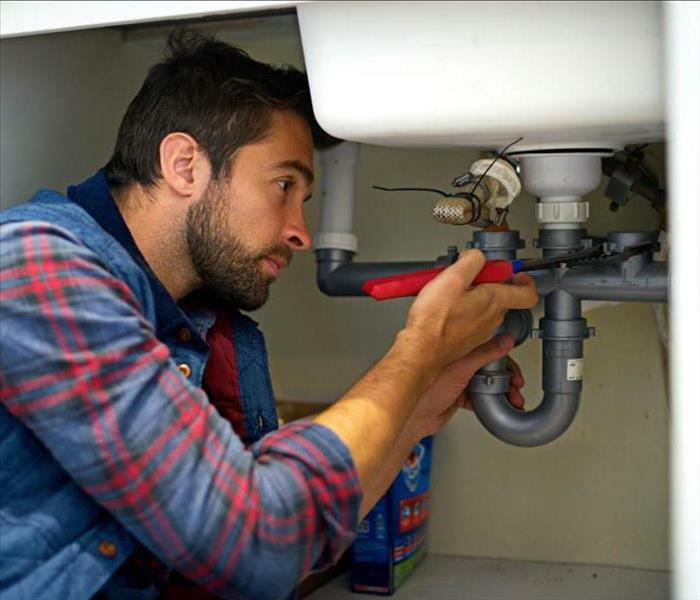 Homeowners here need to ensure that they inspect their plumbing and fixtures for signs of wear before the situation gets too bad to avoid widespread water loss. For toilets, this requires a homeowner to assess the lifespan of supply lines to the tank and also to determine that components inside that tank still can maintain appropriate water levels and do not allow overflows to occur. Often homeowners do not understand the severity of the condition of these fixtures in their home until disaster strikes, and they need water removal services in Vail. Our SERVPRO professionals in the rapid response team can arrive at your damaged home quickly to help prevent the spread of this flowing water throughout your home. We have extraction equipment and drying tools that can help to ensure that moisture in the bathroom gets removed, even from underneath flooring tile and behind drywall. Water removal is a vital service that you should entrust to professional restoration technicians like ours. Without adequate removal and drying, you could leave your home vulnerable to structural weaknesses and secondary effects like mold and mildew growth. With exposure to pooling water, elements like your drywall and vanity can begin to become saturated, warp, and distort over a brief period. Our SERVPRO technicians bring in portable sump pumps and extraction wands to remove excess water from the flooring in your bathroom quickly. If water has reached outside of the room, we can also bring in weighted extractors to pull moisture up from carpeted areas. The sooner that we can get the excess water out of the exposed areas, the faster that our team can set up efficient drying equipment to protect saturated materials from requiring removal and replacement. You cannot predict when fixtures like your toilet might break a supply line or overflow the tank. What you can count on, is the fast response and quality results you can get from our SERVPRO of Southeast Tucson / Sahuarita / Green Valley team. Give us a call anytime at (520) 648-7360. Click here for more about Vail. We have the right equipment to handle any fire damage. Call our experts for quick and reliable restoration. There are no shortages of vehicles throughout the Tucson area that require servicing and repair, and this steady traffic to your auto body and repair shop can attest to that. With flammable materials like oil and grease in no short supply throughout the facility, even the most dutiful of mechanics are only a weld away from combustion that can quickly spread throughout the shop floor. While you might have the resources on hand to put out a fire like this quickly, or even wait for the expertise of firefighters, restoring the effects of this disaster to your business requires expertise and advanced equipment that many have come to appreciate from our rapid response team. As problematic as fire damages can be for your Tucson business, leaving the restoration in the hands of skilled professionals like our SERVPRO team can ensure that the work gets done efficiently and correctly. We can understand your need to get your bay doors back open again to the steady flow of repairs that have scheduled appointments in advance, so our focus becomes providing the most efficient service possible to overcome fire damage effects promptly. Even without structural damage, soot and smoke damages can be challenging enough to overcome with a pressing timeframe to get the work completed. Our SERVPRO team can assess the full scope of this damage quickly, and bring in specialized equipment like high-powered vacuums to use in conjunction with wet and dry sponging for residues and soot damages. With the high ceilings of your auto body location necessary for hoisting vehicles, soot and smoke residue can often travel high up on the walls and even affect the ceiling in the shop area. We can bring in equipment such as scissor lifts and man lifts to reach these higher elevations. While you have steady traffic that comes into your repair shop every day, a fire can keep you from offering that service to the community. Let our SERVPRO of Southeast Tucson / Sahuarita / Green Valley rapid response team get to work quickly for you in this pressing time by calling (520) 648-7360. Take a trip to the zoo click here for more information.